A rich, genre-spanning, breathtaking novel about one mother’s quest to save her child, unite her family, and believe in the unbelievable. Diane Chamberlain is the New York Times, USA Today and Sunday Times bestselling author of 26 novels published in more than twenty languages. Influenced by her former career as a social worker and psychotherapist, she writes suspenseful stories that touch both heart and mind. The Dream Daughter is on sale now! 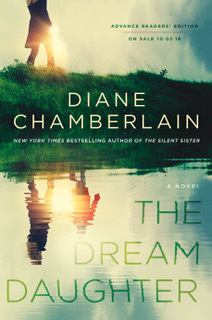 The Dream Daughter selected as a top ten pick for October by US Librarians' for their "Library Reads List." The Silent Sister is now available in mass market paperback!